Michele Sherman was born on the 23rd March 1987, in California, USA of African-American and Puerto Rican descent. She is a hip hop artist as well as an upcoming actress. Siya rose to fame as a rapper who openly admits to being a gay female. Since 2014, she has starred in the reality television series “Sisterhood of Hip Hop” aired on Oxygen channel. Siya has been active in the entertainment industry since 2007. How rich is the rapper? It has been reported by authoritative sources that the overall size of Siya’s net worth currently stands at $400,000, as of the data presented in mid-2016. To begin with, her parents divorced when Michele was a young girl, and then lived with her father before at the age of eight being sent to live with her grandmother in Brooklyn. Being seven years old, Michele had become interested in hip hop music, and while still a student in elementary and high schools, she took part in various talent shows as well as contests. Concerning her career as a rapper, she began it in New York. Later, she signed a contract with producer and R&B singer Tank, as well as moving to Los Angeles. 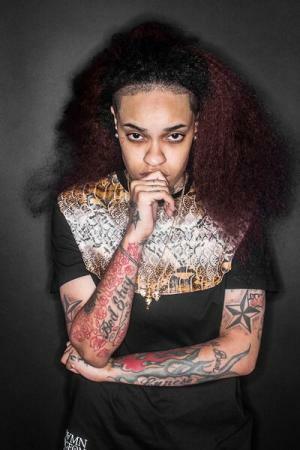 Siya stood out from the crowd because of her sexual orientation, as she caught the attention of audiences by openly admitting to be gay rapper. Her songs named “Heaven, I Put Niggas On” and “I’m Gone” were released in 2011, and a year later, she released the song “D.Y.K.E”. In 2014, the hip hop artist released her first singles – “the Real MVP” as well as “One Hunnid”. Unfortunately, none of the previously mentioned songs managed to appear on the music charts. In 2015, the rapper released her first mixtape entitled “Better Late Than Never”. However, among many others, Siya has performed with such famous artists as Fabolous, Fat Joe and Wyclef Jean. Moreoever, Siya has become a popular television personality, which is another source of her net worth. Since 2014, she has been starring in the reality series “Sisterhood of Hip Hop”, which is focused on five female hip hop artists and their lives – Brianna Perry, Diamond, Lee Mazin, Audra the Rapper star alongside Siya, and the series is produced by the male rapper T.I., proving popular with viewers. Guest appearances were landed by such celebrities as Grammy Award winning female rapper Eve, multi-platinum producer and musician Timbaland, multi-platinum recording artist Ja Rule, CEO of Terror Squad Entertainment and Grammy Award winning rapper Fat Joe, multi-platinum rapper and producer Lil Jon as well as many other celebrities. Needless to mention the fact that appearances on television have increased not only the popularity of Siya but also her net worth. As of mid-2016, Siya is working on the set of an upcoming film, with co-stars Lance Gross, Meagan Good and Larenz Tate. As an actress she is signed to Flavor Unit Entertainment. Finally, in the personal life of the rapper, as previously mentioned she is gay and openly admits her sexual orientation; any partner has so far been kept private.